Alongside the 11.6" Samsung slate we just told you about, AT&T announced the upcoming ASUS VivoTab RT Windows 8 tablet with LTE connectivity. Like the HTC One X+ for the US carrier, the ASUS offering will bring NVIDIA silicon and 4G LTE under the same roof. The ASUS VivoTab RT packs NVIDIA’s next-generation quad-core Tegra 3 TE processor and a 10.1" multi-touch Super IPS display with ASUS TruVivid technology. The tablet features 32GB of built-in memory. In a typical ASUS fashion, the slate will come with available keyboard docks for enhanced productivity. Like its Samsung counterpart, the ASUS VivoTab RT will offer trial version of Microsoft Office 2013. From the short time we spent with the ASUS VivoTab RT, we came out really impressed with the metal finish and the overall build quality of the tablet. With its screen off, the VivoTab can easily be mistaken for one of tis top shelf Android siblings. The ASUS VivoTab RT will be available in time for the holiday season. Pricing is yet to be known. 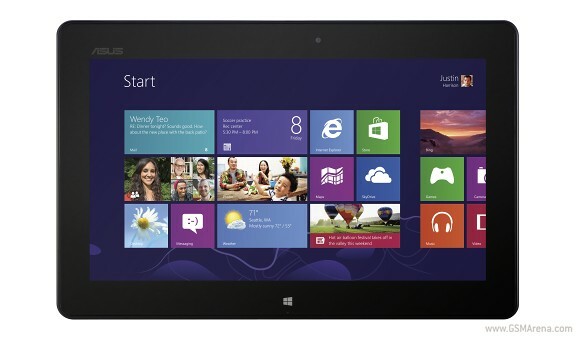 i think all company in windows 8 is all we have good tablet and it's difficult to choose..